Sheringham Park on the North Norfolk coast a great day out walking and exploring a beautifully laid out extensive park cared for by the National Trust. Easy day visitor parking for motorhomes and even caravans for a day trip out from the campsite or en route. One of the walking routes leads down to the beach - well worth a visit. Free for National Trust members ?5 for non members. Plenty of wildlife to spot ....... including Adders that we spotted crossing the footpath. 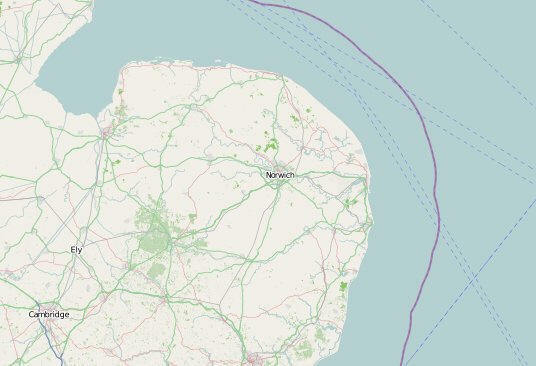 Walk from the Norfolk Broads Caravan Club Site (marked no 4 on map) to Ludham and How Hill. About 5 miles with 2 pubs and a tea room en route. Pleasant walk through pleasant villages and along the riverside watching all the pleasure craft sailing by. On a Saturday when most have just picked up their boats you can see some interesting manoeuvres through the bridges and mooring up. Located just outside of Great Yarmouth, the Holiday Park offers you an idyllic Norfolk getaway. Whether a static caravan, a chalet, or a seasonal pitch for your own caravan in a convenient location that's perfect for easy access to the delights of Great Yarmouth. Set in private grounds near Burgh Castle, it offers the ultimate combination of convenience and escape, and no doubt one of the most sheltered and attractive parks in Norfolk.